The Babylon Bee is brilliant. This cracked me up: Hymns vs. Modern Worship. My younger brother Sean told me he’d get me new shoes as a present. “Just let me know when you’ve picked something. 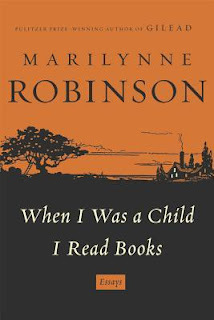 I’ll send you the money,” he said, laughing, over the rare telephone conversations we have—given his schedule. Since working as a municipal dentist in a nearby town, Sean has taken on more serious roles in the household. According to my father, Sean buys the groceries, pays the bills, and has even contributed to my mother’s new project of bathroom renovation. He runs the errands which likely involve rearranging the plants in my mother’s small garden during the weekends. My parents were on their way to the Leddas for a birthday party; they're never late. Sean decided to stay at home, waiting for Manong Ralph, who was coming from Davao for a speaking engagement. When they’re not about to sleep, my parents are in one of these places: (1) in church, for the Bible study, (2) at funerals, (3) at birthday parties. I realized I was the only one missing, as the case has been for so many New Years and Christmases and important occasions. He is, according to him, quite single. (As far as I know, he used to have a girlfriend.) I don’t know how else to respond but to say, “Aw, that’s too bad,” then move on to other topics. I wish him well—he knows that—but I just don’t have the right words. Photo is taken by Racquel B who celebrates her 30th birthday this month. She enjoys a calming, detached view of the Manila skyline from where she lives. My brother asked which color of Kindle I preferred. "White," I said, knowing my potential to misplace things, especially this device that doesn't produce any sound. So there goes your hipster photo of the day. 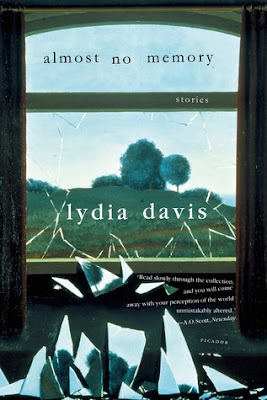 After four years, I'm finally done with The Collected Stories of Lydia Davis. The collection includes stories from her other books. 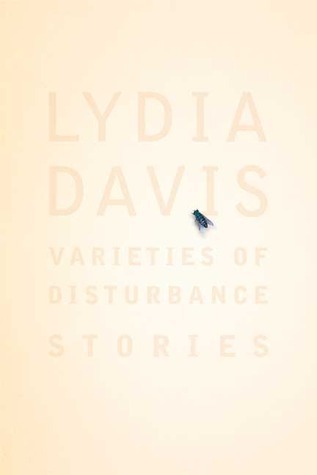 Dana Goodyear's profile of Lydia Davis is worth reading. Color blind, 66-year old William Reed sees colors for the first time. After putting on the special glasses, he loses it. His reaction is priceless. There are lots of hidden metaphors here somewhere. I'm reminded by 1 John 3:2. As we behold Christ finally, we shall be transformed (2 Corinthians 3:18). I'm excited for that day. Meanwhile this world remains a dark, troubled place, but God is sovereign: in control of governments (Proverbs 21:1), climates (Job 37:12-13), and everything else that happens in this side of eternity. 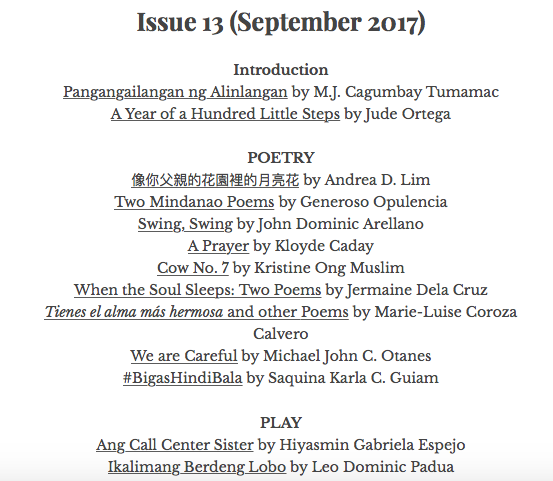 I'm thrilled to have my work published in Issue 13 of the Cotabato Literary Journal. 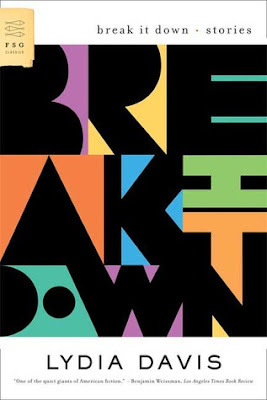 The issue features excellent works of literature—poetry, fiction, and non-fiction—and I'm honored to be published alongside writers I've admired, even as a high school student. Many thanks to the editor, MJ Tumamac, himself an accomplished writer and storyteller in Filipino, for considering my work for publication. Read his introduction to the September issue. Congratulations in advance to our (former) interns who've finished taking the Medical Boards yesterday. Here's a story that appears in Lydia Davis's collection, "Varieties of Disturbance"—an interesting take on coffee shops, where they've spent much of their time studying. Dinner at Sarsá was memorable. The food reminded me of home. The disposable coasters were fascinating. Chicken, a staple meat source of Ilonggo cuisine. Don't know who she is, but I'm a fan of newsprint designs. Philippine heroes, of course, including Apolinario Mabini, said to be the greatest president our country never had. I'm going back, for sure. Had photos with the Chef. Quite famous, Kuya John said. He even has an Instagram account. Waiters were quick and unobtrusive. Good acoustics: we could hear each other. A family place: my mother, who eats nothing but Filipino food, will love it here. Try the sweetened balingon. I was tasked to operate the PowerPoint. JC Feliciano helped with the making of questions. Nico Pajes manned the scoreboard. Racquel Bruno monitored the buzzers. Mervyn was on a roll, like the seasoned game show host that he is! I remember that, as a student, I had enjoyed Jeopardy, too, and that our former seniors--Sir Joey Duya, Ma'am Abby Uy, Sir Pao Vergara, Sir Jonray Magallanes--used to take the time and effort to make all these slides and formulate all sort of pakulo to make IM memorable. It is in this spirit that we make the same sacrifices as well. We were so encouraged to see our students answer, "INH Toxicity" (in the symptom salad category), enumerate five purely transudative causes of pleural effusion during the Final Jeopardy, and identify "spider angiomata." Lots of boo-ing and cheering were involved, too, even from the service seniors, especially now that each service can make use of "action cards," including the option to take points from a leading competitor with the highest points. But all were in good faith. My dilemma with the oral exams came from the fact that, days before the test, I wasn’t feeling stressed at all. I was almost indifferent; I had just wanted to get past the almost-three hours of dealing with complicated paper case vignettes, of enumerating obscure differentials to otherwise common chief complaints, and of making sure I wouldn’t miss out on acute coronary syndrome as a differential for a diabetic who presents with abdominal pain. I’d done this many times, once as an intern (we had a case of chronic obstructive pulmonary disease), then twice as a medical resident, but the gnawing feeling of thinking on the spot, in front of mentors I’ve looked up to even as a student, would not go away, like the discomfort of a shard of meat stuck in between one’s incisors. One can always argue that this should come easy, thinking and charting being the theme of our lives, after all. We have spent much of my waking hours in the hospital, dealing and managing problems of real people, making sense of their laboratories as they became available, and so on. Real life is more difficult, true, but the challenge of the paper case is different. The urgency to generate a working impression just by skimming through a long case, the ability to retrieve a gazillion differentials from one’s memory bank without a second to spare, the disappointment with one’s self for hearing the bell (“time is up!”) without finishing the discussions on the ideal management plans—these put a lot of pressure in someone. Glad to have Frances, dear friend and sister from church, come over and share a cup of coffee (her treat). I had an excuse, at least for tonight, to postpone any studying I should be doing. I know, I know, I'm thirty, and I'm still thinking of passing tests. One of the greatest joys in this life is the privilege to meet souls who long for the Lord and are passionate for Him. To see Christ reflected in the lives of friends--that's something. John Calvin’s The Institutes now occupies a special part of my reading life. 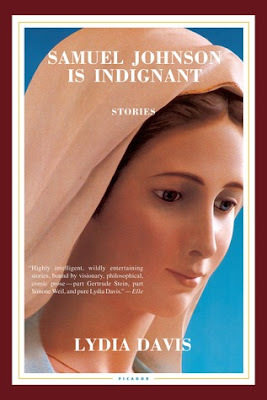 I’m now on Book II, entitled, “On the Knowledge of God The Redeemer In Christ, Which Was Revealed First To The Fathers Under The Law, And Since To Us In The Gospel.” Here he argues for the complete and total depravity of man, the doctrine that states that man is evil, by nature and by choice, and is therefore destined for eternal destruction. 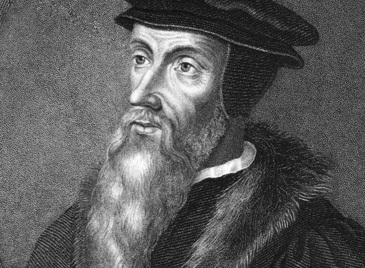 This goes against the prevailing notion that something good dwells in man, so he can earn his salvation anyway—a falsehood that Calvin, using Scripture, so eloquently and comprehensively refutes. 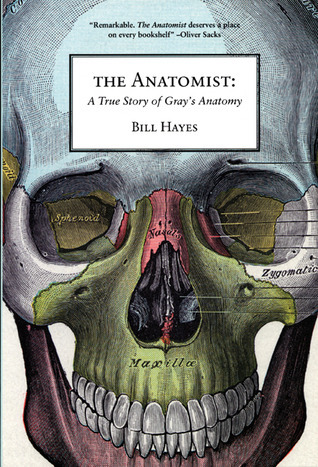 Anatomy wasn't my favorite subject. I under-performed, which is another way of saying I had failed an exam (by a half point!) and had to take the finals. While my classmates excitedly peeled the skin off Big Bertha, I struggled with the entire process of naming each part. On hindsight I think it was at this point when I had realized I wasn't meant for surgery. I survived because of physiology, which pulled my grades up. I still like physiology; it's the backbone of Internal Medicine, where the Lord had brought me. The book is the writer Bill Hayes's account of the otherwise quiet life of Dr. Henry Gray and his illustrator, Dr. Henry Vandyke Carter. One realizes that the second Henry deserves the authorship as much as the first. Both were ambitious and excellent physicians at a time when the study of medicine did not yet possess the same structure that it does now. Dr. Gray died in his early thirties (smallpox), while Dr. Carter suffered family conflicts (his wife had left him) while serving in India.